Detailing is at the heart of an architects design process. The need to consider design, functionality, durability and cost effectiveness of materials are also key factors. 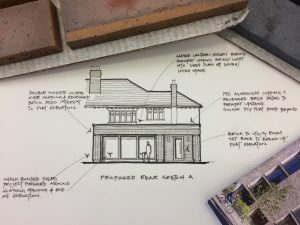 With renovations in South Liverpool becoming ever more ambitious, large extensions completed in painted render or flat brickwork can look a little dull. 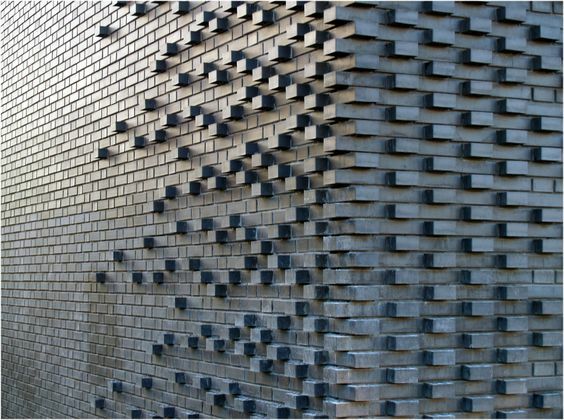 By creatively detailing brickwork a playful aspect can be brought to a project by such means as stack or mathematical bonding, cantilevering or recessing bricks or exaggerating headers or sills with multiple soldier courses. Bricks don’t have to be just red either! The sketch shows the subtle contrasts that bricks can provide over what would otherwise be a flat rendered box.